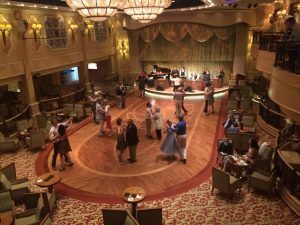 I recently returned from my first Cunard cruise. 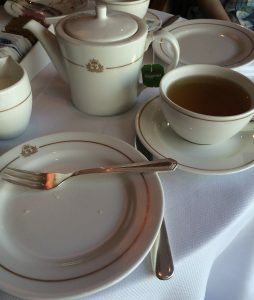 Afternoon tea was without a doubt one of my favourite parts of the cruise, it was quintessentially British. 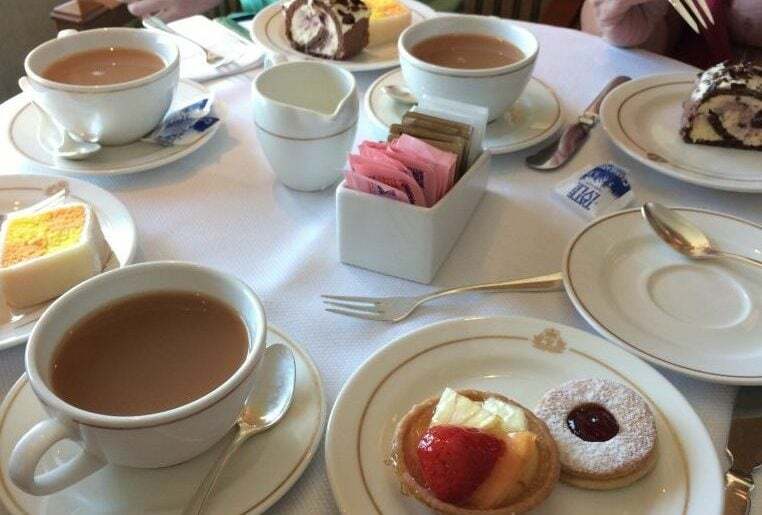 Afternoon tea is free onboard Cunard and is usually served between 3-4pm. It’s amazing how you can make room for afternoon tea, despite having a big lunch and probably before having a big dinner! Afternoon tea was served in the Queens room. It was a grand ballroom where there was always a pianist or string quartet playing. The atmosphere was very relaxing and the chairs were big and comfy. 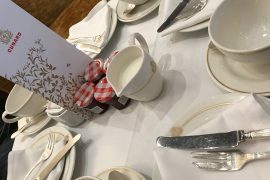 There is also a version in the Queens Grill for the passengers staying there and a version in the buffet, although that lacks all of the service and atmosphere which is fun about afternoon tea! What does afternoon tea involve? I doubt this will come as a great surprise to anybody. As soon as we sat down there was a waiter wearing white gloves ready to pour us a cup of tea. I had peppermint and the rest of my family stuck to the traditionally variety. If your teacup was empty at any point the waiters would be round again to offer you some more. I usually ended up having about three cups each afternoon! 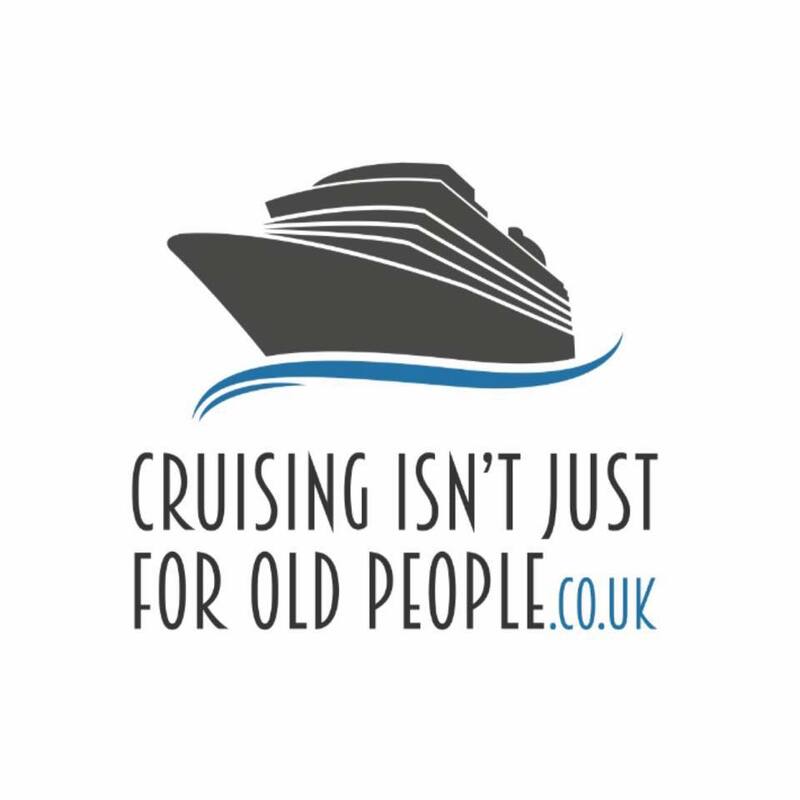 Cunard have a partnership with Twinings and as a result, serve a wide range of twinings teas. They had a good variety of sandwiches, some in little rectangles and some in tiny rolls. All with the crusts cut off. There was a lot of choice; egg, chicken, salmon, cucumber etc. I overheard another guest asking ‘Could I have this filling.. but on this bread?’ The waiter didn’t seem to think it was a problem and all, he went disappearing off and came back with her specially prepared sandwich. The next silver platter which arrived was full of cakes. I managed to have a couple each time, each one was lovely. They’re apparently all hand made onboard. The waiters who serve the cakes come around again and again so there is ample opportunity to have multiple cakes. Got to try them all right?! Lastly, they serve scones. The scones are warm and served with clotted cream and jam. Yum yum yum! They usually have fruit scones, I didn’t see any plain ones but I’m sure they have those too. I was always a little full by this point. There is a dress code for afternoon tea but it doesn’t seem to be strictly enforced. The dress code is nowhere near as strict as in the evening. 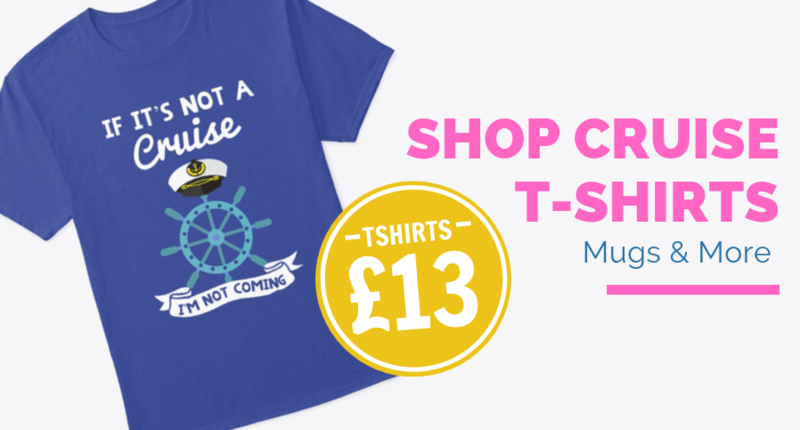 More information about the dress code here: Cunard’s dress code. 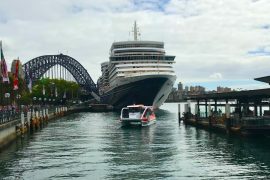 If you are cruising with Cunard be sure not the miss the afternoon tea. I thoroughly enjoyed it. I wish I could have afternoon tea like that every day! There is nothing better than sitting back in a comfy chair, with a cup of tea in one hand and a cake in the other, looking out at the ocean. 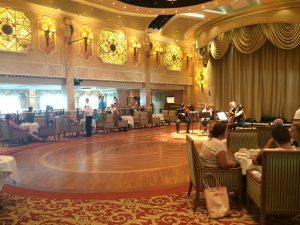 Below is a photo of the ballroom in which afternoon tea is served. 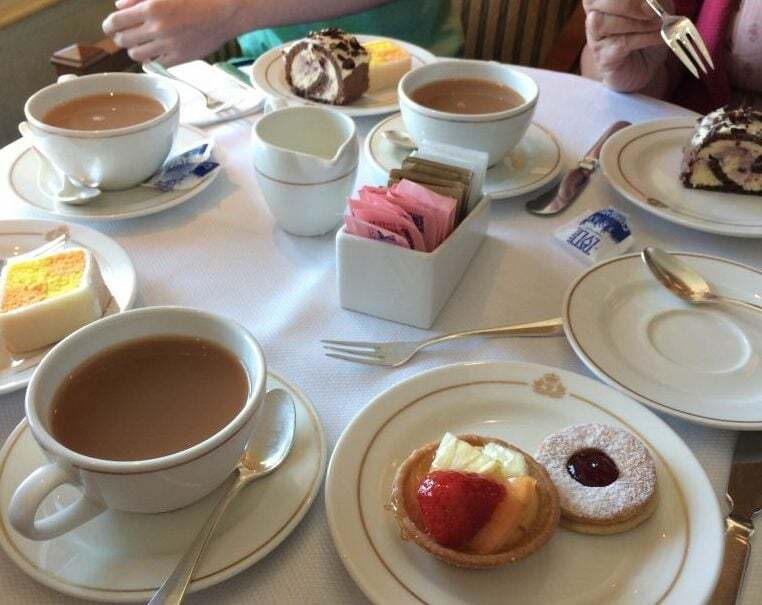 Have you enjoyed Cunard’s afternoon tea? 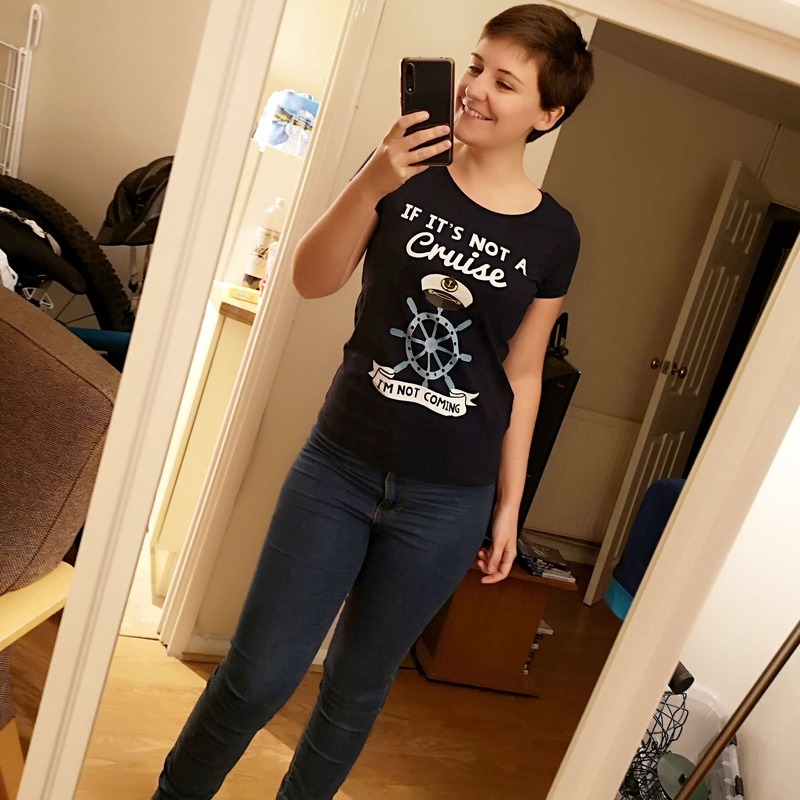 Be sure to let me know in the comments. 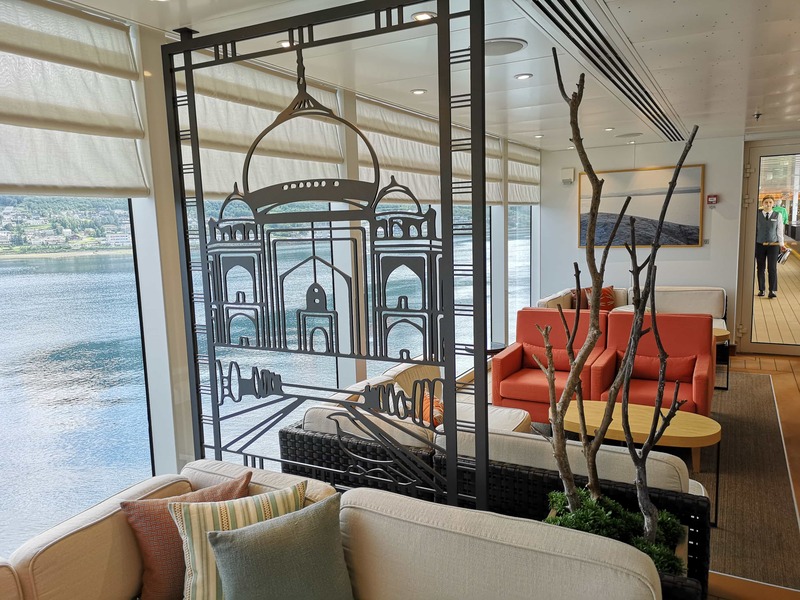 You’ve captured perfectly the essence of afternoon tea on Cunard with a well written and nicely illustrated review. I agree that it is a thoroughly enjoyable experience though l haven’t had the pleasure of sampling the Queen Victoria version. 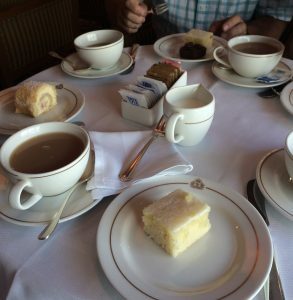 Kudos for capturing a photo of my favourite and beloved Cunard battenburg cake! I think I sampled every cake over my week on the Queen Victoria. Glad you enjoyed it too.